Toronto's Entertainment District is unparalleled in joie de vivre. It is best known as the city's nightlife capital. Location: The Entertainment District is a stone's throw away from the Financial District, just minutes away by foot. The whole neighbourhood is bounded by the streets of Front, Queen, University, and Spadina. 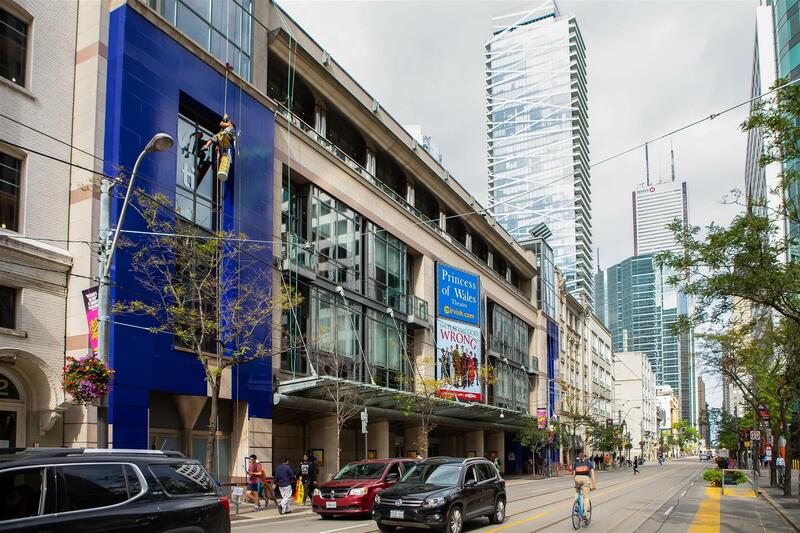 Although Yonge Street isn't officially part of the Entertainment District, its array of performing arts centres and theatres are located close enough to feel like they belong. Transportation: There are three modes of commuting in the Entertainment District. 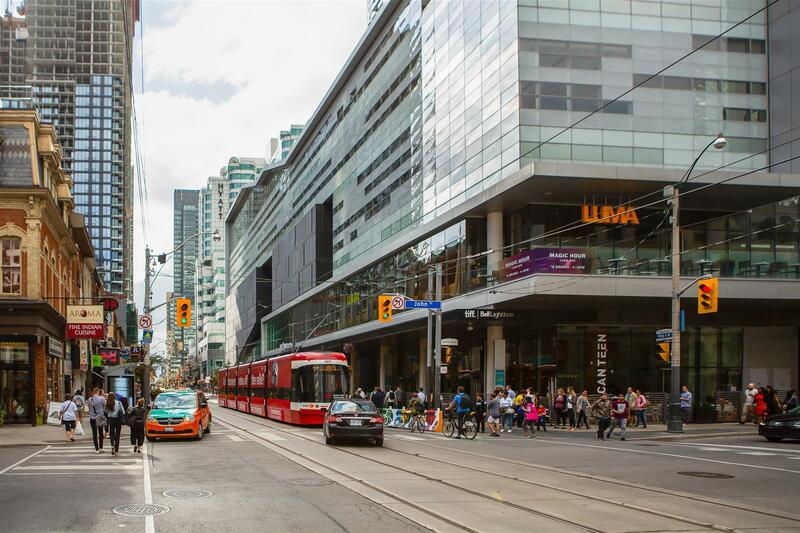 First is the 504 King streetcar line, which can take you to the Financial District and King West. Second is the subway, with three stations located in the neighbourhood: Osgoode, Union, and St. Andrew. 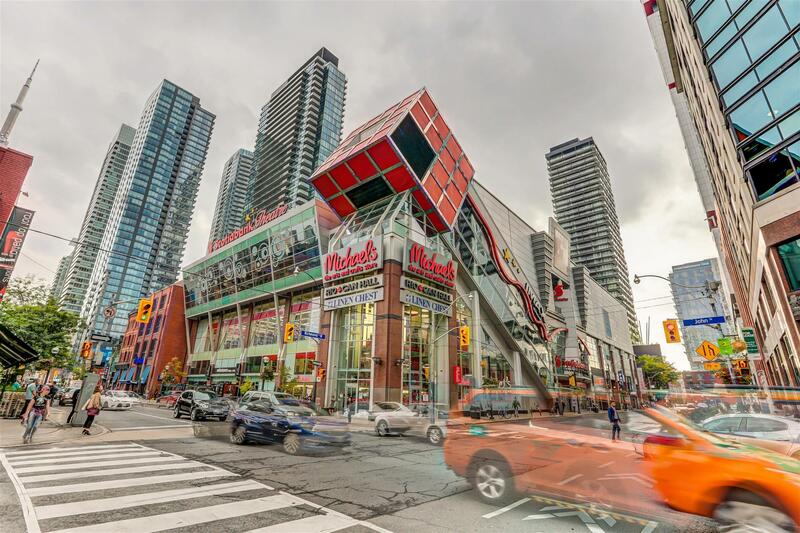 With the majority of the Entertainment District's thrills located within the neighbourhood, walking is also a popular option. Who lives here: Since the Entertainment District is located in close proximity to the Financial District, the area is highly sought-after among young professionals who work there. It has round-the-clock activity and there is a high energy in the community. The Entertainment District's condo and loft market offers housing options on the higher end of the price spectrum. It is understandable, as the huge demand for the area drives condo values and prices up. On the higher end of the price range are spacious units housed in elegant steel-and-glass towers, and the higher you go, the better the views of the Toronto city skyline. The price you pay for a condo in the Entertainment District not only covers building amenities and features. You are also paying for all that the neighbourhood has to offer, from restaurants and entertainment to proximity to the Financial District. Explore your real estate opportunities in the Entertainment District's condo and loft market with Casey Ragan. Get in touch with him here. 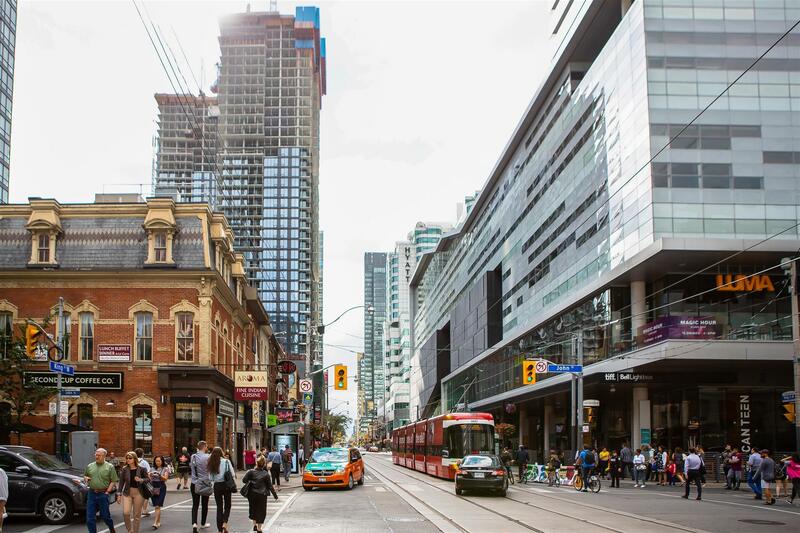 Arts & culture: The Entertainment District is the best place in Toronto for live theatre and performing arts, with venues such as the Princess of Wales Theatre and the Royal Alexandra Theatre where you can catch a stage play or a musical. The TIFF Bell Lightbox is another cultural hotspot. It is the site of the Toronto International Film Festival, which takes place every September. Meanwhile, the Roy Thomson Hall plays host to a series of concerts every year. Nightlife: As mentioned, the Entertainment District is Toronto's nightlife capital. There are a plethora of bars and clubs tucked in its streets, including crowd favorites like Parlour, N'Awlins, The Shore Club, Roxy on King, and Bar Hop. Wining & dining: There’s no shortage of top-notch restaurants in the Entertainment District. Some of the best restaurants in the area include Alo, Khao San Road, Kit Kat Italian Bar, La Carnita, Montecito, TOCA, BOSK, and Luma. Attractions: The Entertainment District famous city attractions include the CN Tower, Ripley's Aquarium of Canada, and Canada's Walk of Fame. Sporting events and concerts: Depending on the season, be sure to see the Toronto Blue Jays at the Rogers Centre, the Toronto Maple Leafs and the Toronto Raptors, or a music concert at the Scotiabank Arena.